Can I send my child text messages? 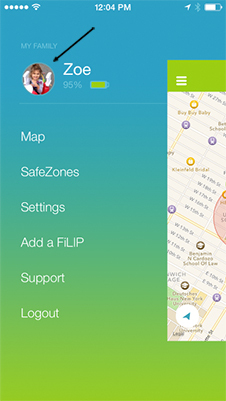 Yes, FiLIP is designed to accept text messages only from the parent’s FiLIP app. Messages can be up to 24 characters long. STEP 1: From the menu window, select the child you would like to send a message. 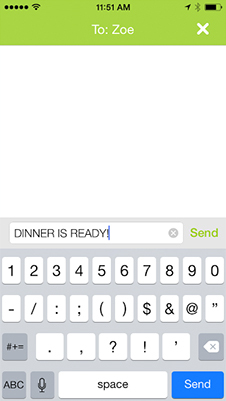 STEP 2: Click on the chat bubble to send a text message. STEP 3: Enter the message you’d like to send. 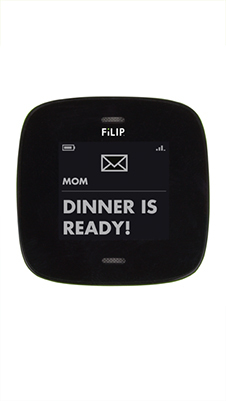 STEP 4: Your message will appear on your child’s FiLIP. 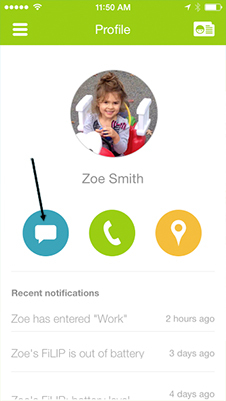 Why can’t all of the contacts on my child’s device send text messages to the watch? Where do I find the previous text messages I have sent to my child’s FiLIP? How does my child send a text message to my phone from the FiLIP watch?